Today in Tbilisi there is a two working synagoga. 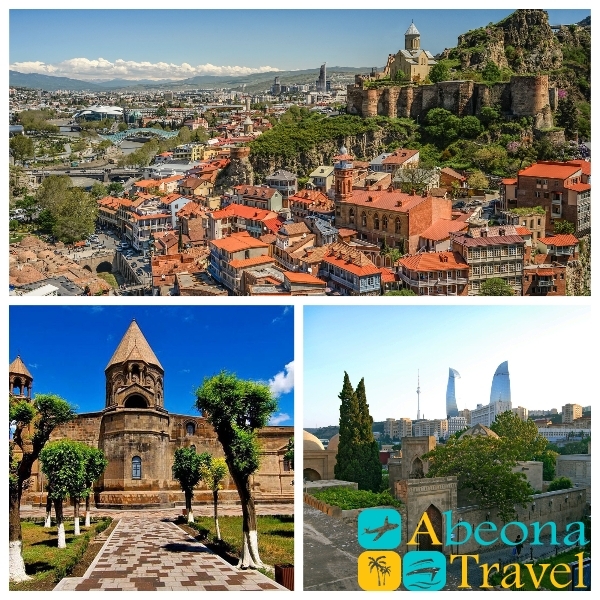 They are located in old town on the street of Kote Abkhazi (former Leselidze). One of them is Georgian synagoga, another Ashken. There is another interesting building former synagoga with dome. Here is located museums of Georgian Jew. 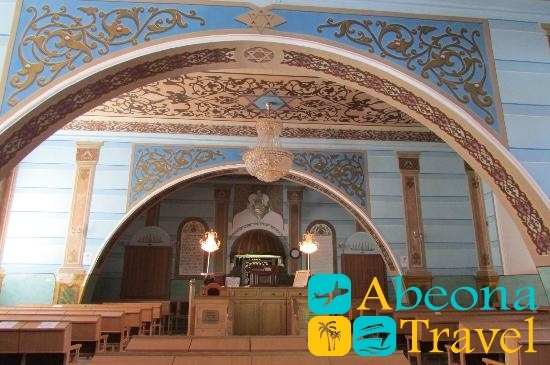 One of them so called big and Akhaltsikhe synagoga built during 1895-1913. This synagoga sometime is called “old synagoga”. It was founded by Jew from Akhaltsikhe. 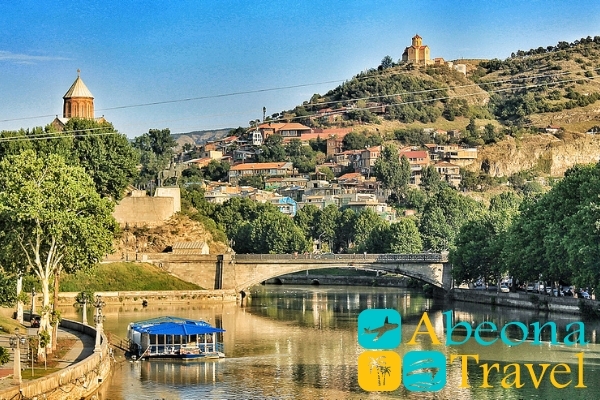 He lived in Tbilisi by the end of XIX century. Three-storey building from red brick, building according to traditions pointed to Jerusalem in longitudinal direction from entrance along the lines of arona-kodesha (special storage for Torah rolled book, which is symbolic replacement to the Ark of the Covenant). It was synagoga of sefard, because Georgian Jew belongs to so called east or sefard Jew. It is one of the oldest Diaspora, according to historians Jew appear here from VI century BC (after Solomon Temple was ruined by Babylon’s in 586 BC). 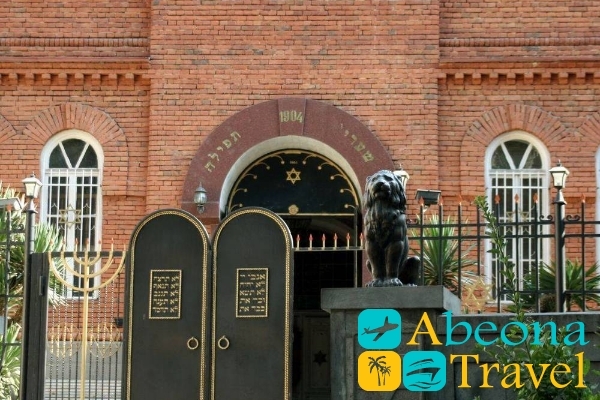 Ashkenazi synagoga is located in the one of the yards of old city. Ashkenazi is sub-ethnic group of Jew, established in Central Europe. Since 1801 East Georgia belongs to Russian Imperia and in Georgia appeared first Jews Ashkenaze. Basically there were shoemaker, hairdressers etc. They were founded synagoga and called it “Russian”. Dome type synagoga or museum history of Georgian Jew of David Baazov, here you can get through the yard of Ashkenazi synagoga. Synagoga was closed in 20ies under Soviet Rule. Today here is museum of history of Jew named by David Baazov (one of the founder of Sionist Movement between Georgian Jews). Museum was not functioning for a long time and building was in a very bad condition. Renovation was done in 2014 and the museum was opened.